Lee, M. J. (2018). Chapter 10: The Sinking of a Ferry, Sinking of Public Confidence: South Korea’s Mismanaged Ferry Sinking Crisis: A comparative analysis of government crisis management cases. In Drzewiecka, Z. & Nakayama T. (Eds), Global Dialectics in Culture and Communication: Case Studies. New York, USA: Peter Lang. Lim, J. S., and Lee, M. J. 2016. The effects of partisan bias, selective exposure, and economic condition on a presidential impeachment: A logistic mediation analysis. Journal of Communication Science. 32/1: 5-36. This is a refereed journal publication from one of the prestigious universities, Korea University, in South Korea. Lee, M. J. & Shin, M. (2011), Fear versus humor: College risk takers’ physiological, cognitive and emotional responses to anti-alcohol abuse PSAs. Journal of Psychology: Interdisciplinary and Applied, 145(2), 73 – 92. Lee, M. J., Hust, S., Zhang, L. & Zhang, Y. (2011). Does violence against women portrayed in popular crime drama influence viewers’ gender attitudes? Mass Communication and Society, 14(1), 25-44. Sobralske, M. & Lee, M. (2010). Cardiovascular disease risk screening among Latino men in Eastern Washington. Washington State Journal of Public Health Practice. 3(1). 1-13. Arganbright, M. & Lee, M. (2010) Does exposure to sexual hip-hop music videos influence the sexual attitudes of college students? Mass Communication and Society. 13 (1). 67-86. 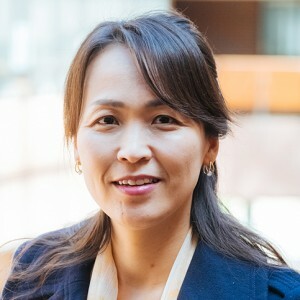 Moon J. Lee (Ph.D., 2001, University of Florida) is an associate professor in the Department of Public Relations at the University of Florida. She was previously an associate professor at the Edward R. Murrow School of Communication. Lee’s research focuses primarily on development and evaluation of communication technologies (e.g., Hansen, Lee, & Forer, 2002; Lee, 1998, Lee, Tedder, & Ferguson, 1999; Lee, 2002), health communication campaigns (e.g. Lee & Ferguson, 2002; Lee, 201; Lee & Shin, 2011; Lee & Chen, 2012), and information processing and decision-making process of individuals (especially young adults). Lee serves as a PI and a co-PI for several grant projects. They include the development and evaluation of “Self-voicing Test” and “Generator of Accessible Tests” at Educational Testing Service , “Expanding Hypertext,” a new text presentation technology, and “Effective Communication with Rebels for the Prevention of Binge Drinking” with the Alcohol and Drug Abuse Program at WSU.